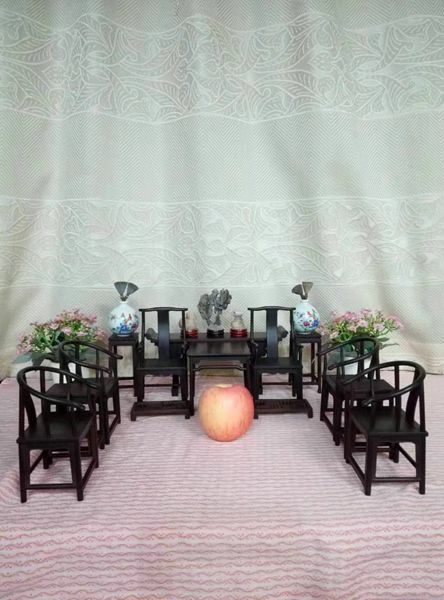 Shen Banghan, 67, is a master of miniature model-making. Over the past 32 years, he has produced more than 300 miniature models, each of them of high quality. Shen said before retirement, he mastered the craft of making violin and cello in his spare time through self-study and achieved some fame. But his first love was always making miniature models. Since 1987, he has spent his free time learning from teachers and craftsmanship, constantly studying the skills of making miniature models. After retirement, he finally found the time to work on miniature models. In early 2016, he came up with idea of making a set of miniature farm equipment. In order to do so, he traveled to the countryside of Hanchuan six times to measure the size of various traditional farm tools and take photos. Then he spent 18 months working at his desk for more than 8 hours every day, and finally built a miniature model of 100 farm tools. The 100 models were packed into a wooden box about 40cm long, 30cm wide and 78cm high. 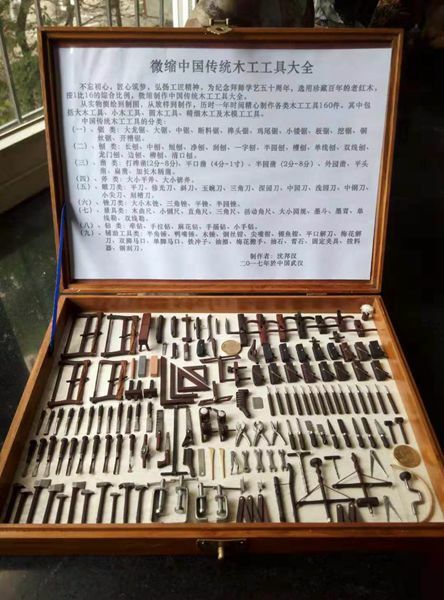 This wooden box has become a miniature model museum of farm tools which can be carried in one hand. 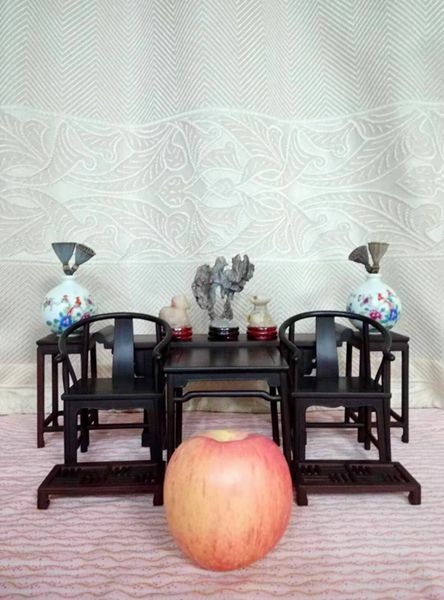 Shen also showed a miniature model of furniture he had made. Each of the 50 models is only 1/30 of the original. The model was built intermittently in more than 30 years. Shen's most cherished piece is a model of a violin, which is only 26mm long. It took him nearly three years to finish. 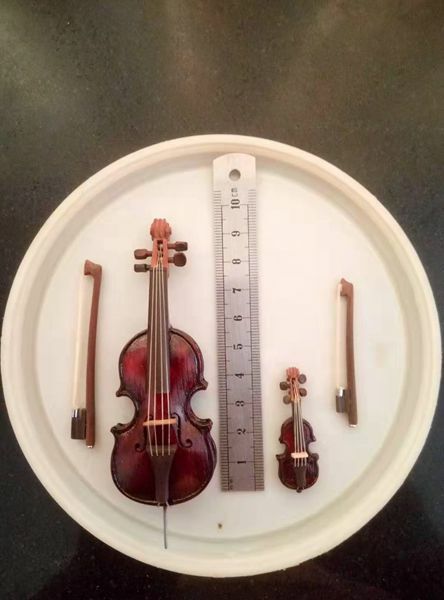 The model violin is only as big as an adult person's little finger, but it is equipped with adjustable strings. When Shen touches the strings with his nails, it creates a beautiful sound. Since 1987, Shen has produced a number of miniature models. "These models are not for sale. I intend to send them out for exhibition so that people can enjoy them free of charge," he said.